Adam J Purcell, Andy Simpkins, Keith Dunn and Scott Fuller sit down, Zathrased, in front of the Season 3 Babylon 5 episode, War Without End, Part Two, and spout our usual nonsense! The Lurker’s Guide to Babylon 5: War Without End, Part 2. Wikipedia: Babylon 5 – War Without End. Adam J Purcell, Andy Simpkins, Keith Dunn and Scott Fuller sit down, unstuck, in front of the Season 3 Babylon 5 episode, War Without End, Part One, and spout our usual nonsense! The Lurker’s Guide to Babylon 5: War Without End, Part 1. 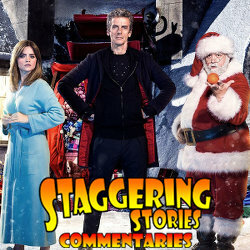 Adam J Purcell, Andy Simpkins and Keith Dunn sit down, crabby, in front of the 2014 Doctor Who Christmas special, Last Christmas, and spout our usual nonsense! BBC: Doctor Who – Last Christmas. Wikipedia: Doctor Who – Last Christmas. 05:08 — Torchwood: Back in radio form. 06:55 — Star Trek: Simon Pegg to write next film. 08:14 — Simon Fisher-Becker: Even more hitched. 09:04 — Colin Baker: Star Trekkin’ across the universe. 12:10 — In the Flesh: DEAD! 13:08 — Wizards vs Aliens: On hiatus. 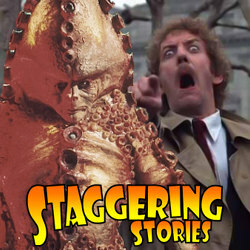 15:25 – Doctor Who: The Mind Robber. 29:00 – Who Framed Roger Rabbit (1988 film). 46:56 – Farewell for this podcast! 48:09 — End theme, disclaimer, copyright, etc. Wikipedia: In the Flesh (TV Series). Wikipedia: Doctor Who – The Mind Robber. BBC: Doctor Who – The Mind Robber. Wikipedia: Who Framed Roger Rabbit.